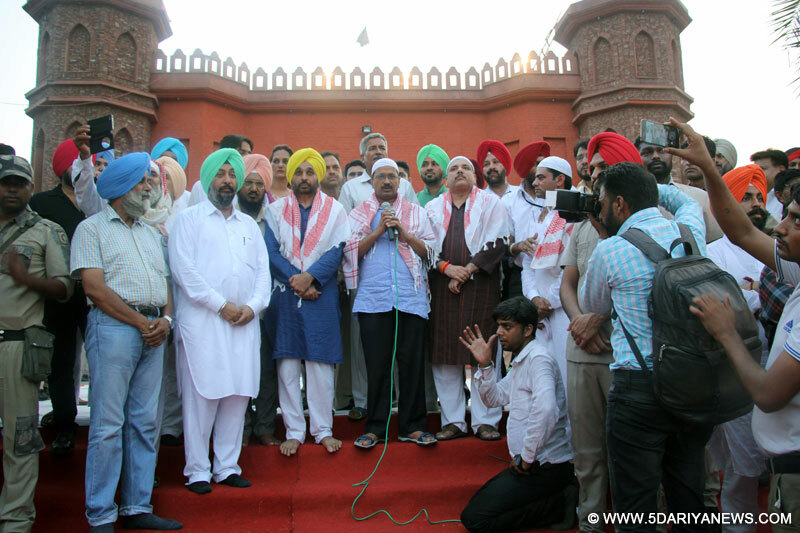 Delhi Chief Minister and National Convenor of Aam Aadmi Party (AAP) Arvind Kejriwal today said “some anti-national elements are trying to destabilise the country, but I pray toAlla Talla that they should never be successful in their nefarious designs.Kejriwal was addressing an impressive gathering on the occasion of Roza Iftari at Malerkotla on Monday.Delhi CM said that he was deeply pained to know holy Quran was desecrated by certain elements. “Some people are trying to malign me and my party in the name of religion. But I am anguished that they had to resort to sacrilege to malign me. In their endeavour to malign AAP, they have rather played with the sentiments of minority community”, Kejriwal said. National Convenor of AAP, Kejriwal said “They could have adopted other ways and means to malign me and my party, as they have been doing in the past by putting ink on me or assaulting me, but they should not have resorted to desecrate the holy Quran.”Kejriwal said a true hindu would never indulge in the desecration of holy book of any religion, he would rather have love and respect for all religion.Others who were accompanying Kejriwal include, In-Charge of AAP’s Affairs in Punjab, Sanjay Singh, National Secretary (Building) Durgesh Pathak, State Convenor Sucha Singh Chhotepur, MPs Bhagwant Mann & Prof. Sadhu Singh and Gurpreet Ghuggi.